Sony Pictures has finally revealed the title of their upcoming James Gunn produced horror movie, as well as a new release date. The studio is set to release what we now know to be titled BrightBurn on May 24, 2019. Sony had previously dated the movie for November 30 of this year. However, since we haven't seen any promotional materials and, up until this point, hadn't even heard a title, the delay isn't at all surprising. But beyond the title, the project still largely remains mysterious. 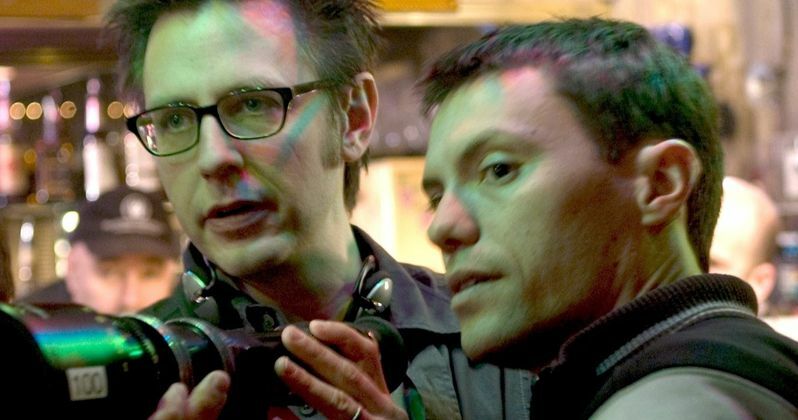 What we know for sure is that James Gunn is a creative producer on the movie, working from a script written by his brother Brian Gunn and cousin Mark Gunn. The Hive director David Yarovesky directed the movie, which has already wrapped production, with filming taking place earlier this year. The Guardians of the Galaxy director was originally set to make an appearance during Sony's panel at San Diego Comic-Con to reveal details regarding BrightBurn. But the appearance was canceled as it was scheduled to take place just days after Disney fired him over a series of old, offensive tweets that had resurfaced online. James Gunn has been prepping to shoot Guardians of the Galaxy Vol. 3 prior to being let go by Disney. He had filmed this new horror movie in his downtime before jumping back into another massive blockbuster. The movie was pretty much in the can by the time the controversy kicked up. Though many fans and those in Hollywood, including the core Guardians cast, have defended Gunn, Disney stuck to their decision and decided to part ways with the filmmaker. Sony, on the other hand, apparently just wanted to let the dust settle and they still appear to happily be in the James Gunn business. The decision to delay the release allows them to put more distance between the ugly situation earlier this year. James Gunn hasn't done any interviews and has abstained from the public eye since being fired by Disney. The delay could give Gunn time to recover and allow for him to promote this new movie when the time comes. For the time being, beyond the title, details regarding BrightBurn are minimal. The cast includes Elizabeth Banks, who previously worked with James Gunn on his horror movie Slither. No plot details have been revealed. One thing that seems clear is that Sony has a lot of faith in the movie. The May 24, 2019, release date comes Memorial Day weekend, which is a very coveted spot for studios. On that date, BrightBurn will be going up against Disney's live-action Aladdin and Fox's Stuber, which has Guardians cast member Dave Bautista in the lead role. Warner Bros. also has their MineCraft adaptation set for that date, but it seems unlikely the movie will actually be completed by that time. Either way, Sony appears confident in what they have. We'll be sure to keep you posted as more details on the project are made available.